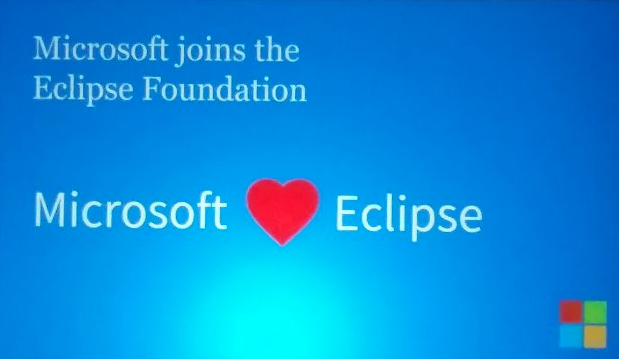 Today at EclipseCon, Microsoft announced that they are joining the Eclipse foundation as a Solutions member. Microsoft already delivers a number of Eclipse-based tools today; the Azure Toolkit for Eclipse and the Java SDK for Azure can be used to build cloud applications that can ru on Azure, and the Team Explorer Everywhere plug-in allows developers to work with the Visual Studio Team Services from within the Eclipse IDE. These plug-ins are available from the Eclipse Marketplace. Microsoft were also on-stage during the EclipseCon keynote, in which Tyler Jewell announced the Eclipse Che 4.0 release, and announced interoperability with Eclipse Che and Azure and Visual Studio Team Services. Microsoft are also announcing that they are open-sourcing the Team Explorer Everywhere plug-in, under an MIT license with a contributor license agreement to allow code to be contributed back. Finally, Microsoft have a Java Tools Challenge to invite Java developers to build apps and extensions for Visual Studio Team Server. Have times really changed this much?